I have been looking forward to this CD ever since I heard this performance of Naïs in concert in the Béla Bartók National Concert Hall in Budapest’s Müpa arts centre on 4 March 2017 during a short early music festival. The recording dates for the CD are given as 4-6 March 2017 and, although there is nothing on the sleeve notes (or evidence on the recording) to suggest that it is a ‘live’ recording, I think it is probably based on a recording of that 4 March concert, presumably with two days of patching afterwards. The London Festival of Baroque Music (LFBM) is now in its 35th year. 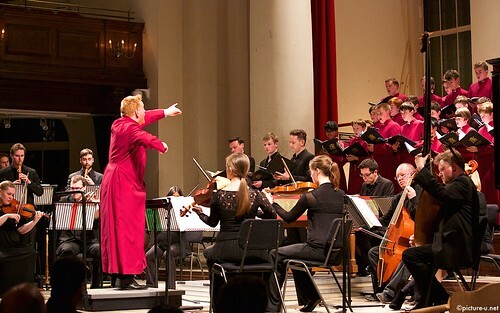 Previously known as the Lufthansa Festival of Baroque Music, it is London’s leading early music festival, not least for the number of non-UK performers that it has traditionally featured. Last year’s change in the management means that the executive director of the festival is now Richard Heason, director of St John’s, Smith Square, the festival’s principal London home. For the 2018 festival, he is joined by a guest artistic director, Sébastien Daucé. They are bringing to London a sizeable chunk of French music, musicians and culture under the title of Treasures of the Grand Siècle. Described as an “immersive exploration” of the music of the French Baroque from the time of the Sun King, Louis XIV and the Palace of Versailles, the festival features some 22 events over 9 days. 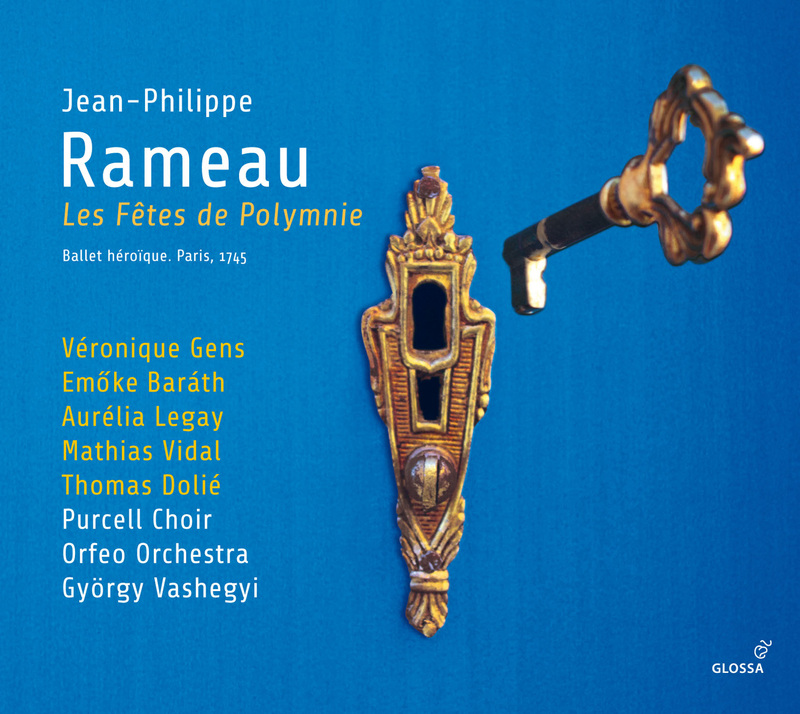 It is a comparatively rare opportunity in the UK to hear French Baroque music performed by French musicians including, for the latter part of the festival, Sébastien Daucé’s own group, Ensemble Correspondances. 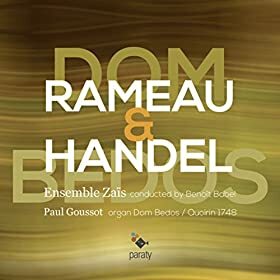 Along with several other musicians performing, I first heard Ensemble Correspondances and Sébastien Daucé when I as reviewing at last years Ambronay festival, reviewed here. Müpa Budapest is the sensibly shortened title of Művészetek Palotája, the national cultural centre situated on the Danube just south of the centre of the Pest side of Budapest. The building opened in 2005 (as the Palace of the Arts), and was designed by the young Hungarian architects Zoboki, Demeter and Partners. It includes the Béla Bartók National Concert Hall (Bartók Béla Nemzeti Hangversenyterem), the Festival Theatre (Fesztivál Színház), also suitable for smaller scale concerts, several other performing spaces and an outpost of the Ludwig Museum, best known for its Vienna contemporary art gallery. The centre hosts an enormous range of activities throughout the year and, for the past three years, has been running a short early music festival, this year consisting of six events. I was invited to review five of them, between 27 February to 4 March, featuring performers based in Italy, Austria, Germany, Switzerland and Budapest. The Kings Place year-long ‘Baroque Unwrapped’ series of concerts drew close to its end with a ‘A Weekend of Excessively Good Taste’, devoted to music of the French Baroque in a period where bon gout was the watchword. The concert by the Oxford based Instruments of Time and Truth, directed by Edward Higginbottom (an acknowledged expert on French music) looked at the increasing influence of Italian music after the rather musically insular period of the reign of the Sun King. The concert opened and closed with François Couperin. His first trio sonata, La Pucelle (c1692), was written under an Italian pseudonym. His concluding L’apothéose de Corelli, was his more open attempt to show how the disparate Italian and French styles could, and should, be combined. The programme note quoted several comments from the time expressing the differences between the styles, including a reference to a lady of the Court of Louis XIV fainting with delight or terror at hearing an Italian inspired violinist playing his ‘rapid passages’. Louis XIV’s response to such Italian virtuosity was to invite a simple melody from a French violinist with the comments that ‘That is my taste’. Rameau: transcription for organ and orchestra from Pièces de clavecin en concerts and Hippolyte et Aricie. I couldn’t get to the lunchtime concert on day 3 of the festival, but it was given by soprano Rowan Pierce and the young group Medici, under the title of ‘Future Baroque’, with music by Handel, Bach, Royer, Telemann, Corelli and Vivaldi. Unless I have missed something, this was another event that seemed to bypass the festival’s theme, although it did include as its final work Agitata da due venti, a surviving fragment from Vivaldi’s opera L’Adelaide and later also included in his Griselda, composed for the virtuoso soprano Margherite Giacomazzi. I wouldn’t normally review a concert given by a boys’ school choir, but the Cardinal Vaughan Memorial School is well-known for their music education and performances. The Schola Cantorum supports the liturgy of the school services, but is better known as one of the few school choirs that are regularly called upon for professional engagements. These have ranged from the Harry Potter films to a recent live broadcast on BBC Radio 3 of James MacMillan’s complex St Luke Passion. Individual boy singers are also often to be heard at Covent Garden and the Coliseum.